Organizations are facing unprecedented levels of business complexity, replete with a multitude of internal and external risks, making risk mitigation a key element in driving business growth. To address these challenges, they are embracing Enterprise Risk Management (ERM), a discipline that can help drive strategy and strategic decisions, take advantage of business opportunities, reduce the likelihood and the severity of risk events, and help optimize resources and capital. The success of ERM requires the unification of frequently disparate risk management activities. Efforts to manage risk from different functions like risk management, compliance, vendor management, information technology, information security, finance, and internal audit must align to assure that risk reporting reflects a consistent view of the risk and control environment. This requires having a flexible framework and a technology that can support all risk-related data and be scalable to meet functional, business, and other stakeholder needs. SoftExpert ERM software enables organizations to identify, analyze, evaluate, monitor, and manage their enterprise risks using an integrated approach. It brings together all risk management related data in a single and comprehensive environment, including a reusable library of risks and their corresponding controls and assessments, events such as losses and non-conformities, key risk indicators, issues and treatment plans. 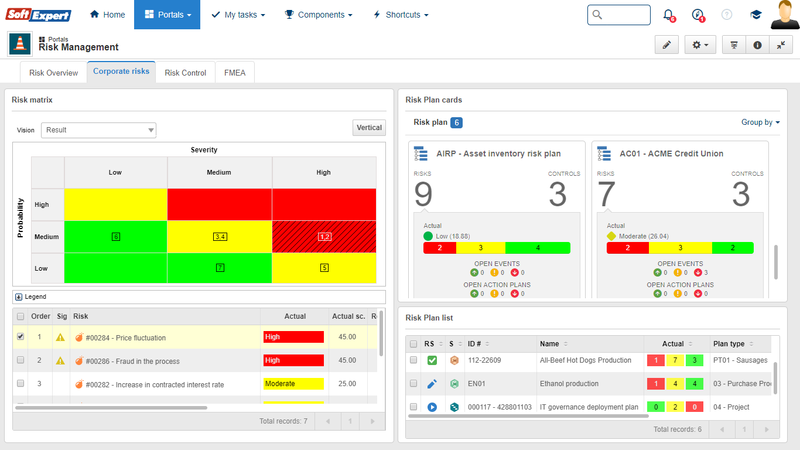 The solution streamlines the risk assessment process, while the risk heat map feature enables organizations to set their priorities and make strategic decisions based on risk levels. The software serves as the foundation for the company’s enterprise risk management efforts through its ability to unite and support different risk categories like strategic, financial, security, compliance, environmental, assets, products, processes and projects. These categories can be part of broader applications and risk family solutions, such as Operational Risk Management, IT Risk Management and General Compliance Management. 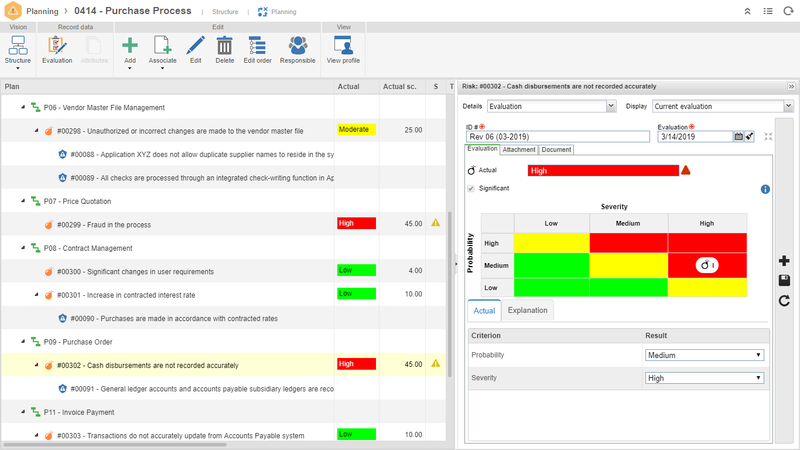 SoftExpert ERM is designed to be flexible and configurable, supporting whether the risk management standards defined by ISO 31000, COSO and PMBOK, as well the company’s unique requirements. 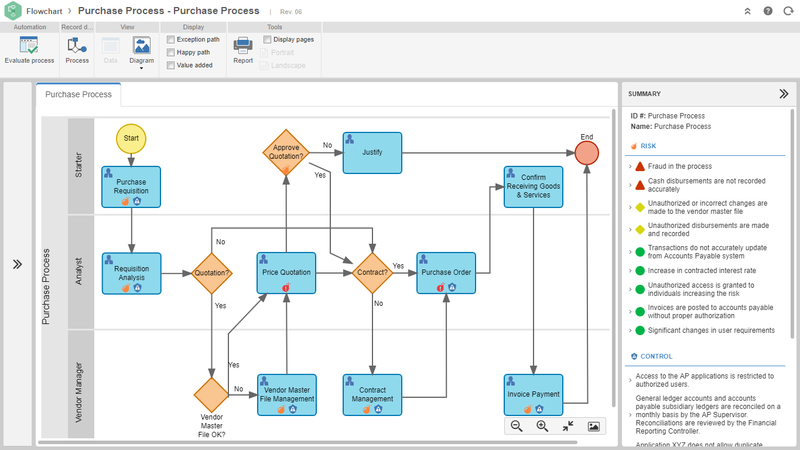 SoftExpert software for enterprise risk management offers different alternatives to execute risk mitigation and keep risks under an acceptable level. 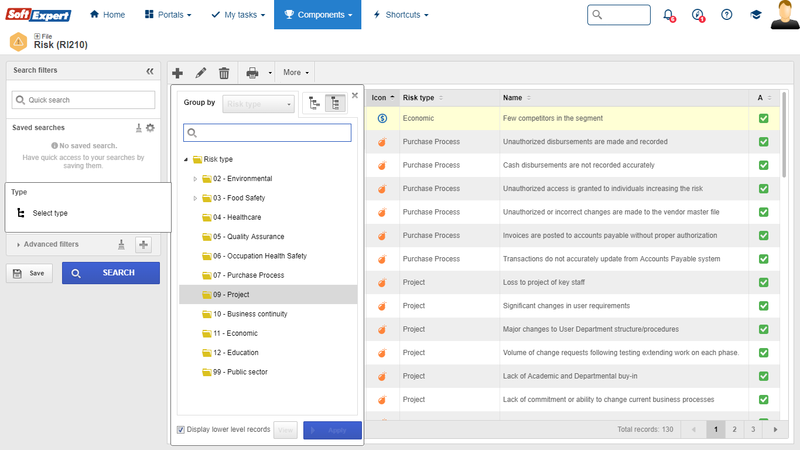 Organizations can rely on a fully integrated project management system to select, implement and monitor risk responses being supported by an entire set of capabilities offered by a robust project management system. Likewise, action plans and remediation activities make the process of managing risk response strategies easy, offering simple alternatives for risk treatments. The integration with GRC (Governance, Risk and Compliance) functions and SoftExpert GRC software, including regulatory compliance, internal auditing and strategy planning, ensures that organizations can cost-effectively establish a wide enterprise risk management process. The consistent design and architecture of all SoftExpert applications also provides great flexibility, allowing organizations to start with highly targeted projects and expand the scope to support the multiple requirements of the entire enterprise on a single platform. Centralize and streamline the risk management program. Focus management attention on risks that matter by expressing disparate risks in a common language. Provide an accurate understanding of risks by identifying and managing risks across all contexts. Allow better structure, reporting, and analysis of risks. Improve efficiency by allocating the right amount of resources to mitigating the risk. 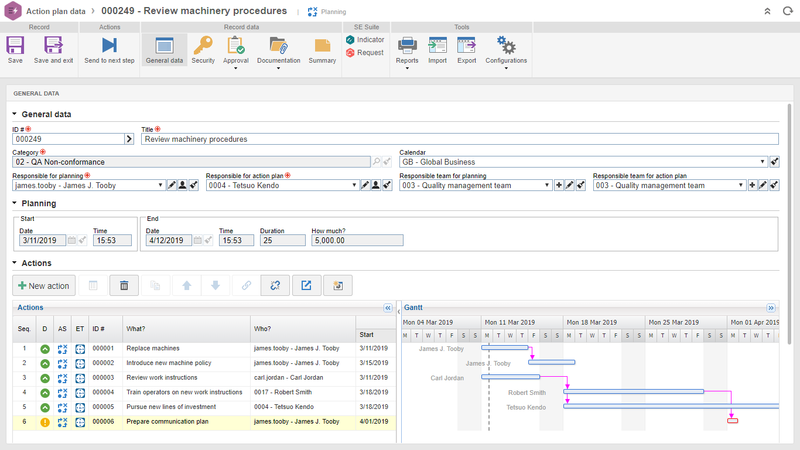 Enable better cost management and risk visibility related to operational activities. Support risk assessment and residual level calculations based on configurable methodologies and formulas. 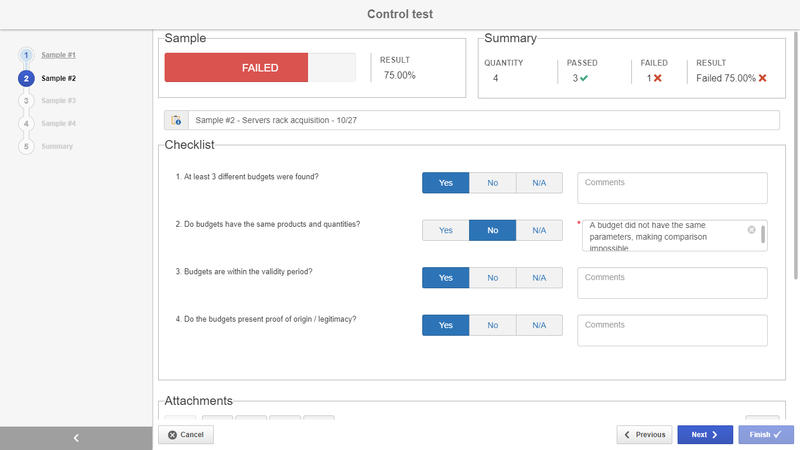 Design control test plans and assessments and rate the operational and design effectiveness of the controls. Keep the program on the track by record and monitoring findings from risk assessments and control tests. Drive completion of risk prevention and mitigation tasks. Offer real-time insights into risk management programs through powerful analytics, advanced heat maps, reports, dashboards, and charts. Central repository for risks and opportunities organized by hierarchical categories. Easy risk identification and association with processes, projects, assets, and scorecards for comprehensive risk transparency. Streamlined risk assessment process supporting multi-dimensional approaches from several methodologies. Investigations tools and remediation plans of potential issues. Application of regular tests and questionnaires (Control Self-Assessment) promoting internal control effectiveness. Real-time monitoring of risks, controls, issues and actions through personalized portals.